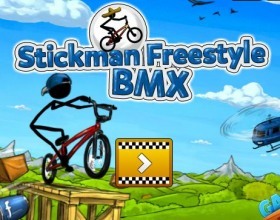 Control your stick guy on the BMX and perform as much stunts in the air as possible to earn money. After that go to the store and buy some cool upgrades for your bike. Use Arrows to ride. Check all trick buttons in the game. 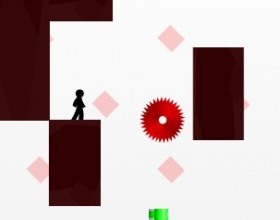 Lots of new stunning levels are waiting for you in new version of Vex game. 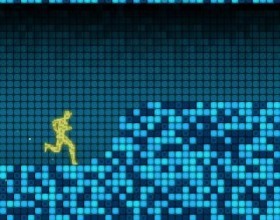 Reach the exit portal, avoid dangerous obstacles and do many more to reach your goal. Use arrow keys to move around. Zassin is a stick guy. Your task is to help him to protect himself from all attacking enemies in various situations. 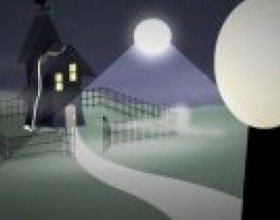 To do that your task is to press corresponding arrow keys as quick as possible to pass the scene. Hope you remember this angry guy from previous games. Choose or pick up weapons. Kill your enemies and keep moving. 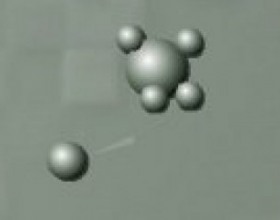 Use your arrows to move, use mouse to aim and fire. 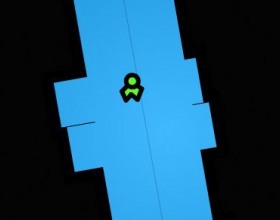 Pick up items with E button, enter the doors with Space (anyway, check the hints in the game, sometimes these controls change). This game is made not for the winning but for the losing. 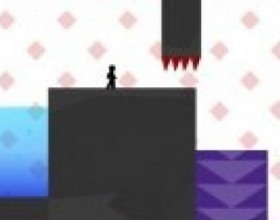 If you'll pass few first levels, then don't worry, soon hard levels will stop you. 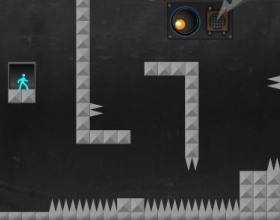 Just try to reach the exit door in this funny platform game. When you can not finish the level, just push the button give up. Use arrow keys to move. 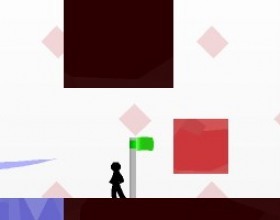 In this game you are able to change dimensions, gravity and many more to guide your hero from entrance to the exit portal. Use Arrows to move and control some stuff, press Space to stop the time and make modification to dimensions. 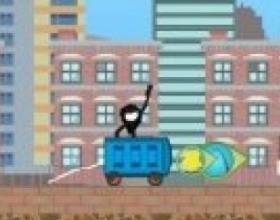 This is a something like parkour style game where you take control over some little stick dude. Your task is to reach the exit point in all levels. You have to jump, climb, slide, swim and do many other actions to survive and reach your goal. 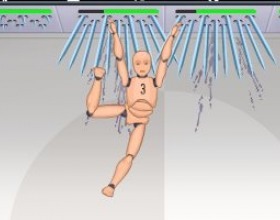 Use W A S D or arrows to play the game. Well this game is not so easy as almost any other game. 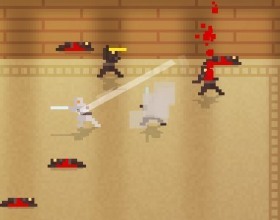 This game requires fast reaction and quick clicking on the right spots with your mouse. 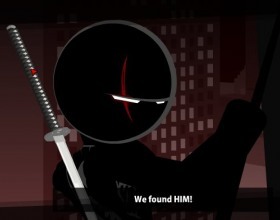 Everyone wants to kill your stick man. That's why you have to be so quick, otherwise they will kill you first. Our hero has no face, no heart or soul. Your task is to help him get them back. 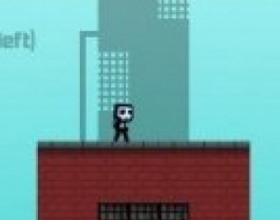 Jump over platforms, avoid dangerous spikes, falls or deadly bullets. Use Arrow keys to move. Press Space to jump. There are also a lot of other tricks like double jump (press Space twice), sliding on the walls and other stuff. 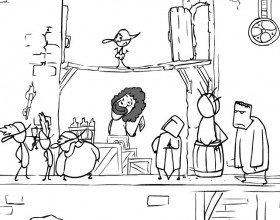 Can you guess who the stickman is? There is no need to think much: a stickman is a very simple figure drawn with the help of dots and lines so that it resembles a human silhouette. When one draws a stick figure it replaces a head by a circle, legs, arms and torso by straight lines. A stickman is usually drawn with a pencil or a pen. 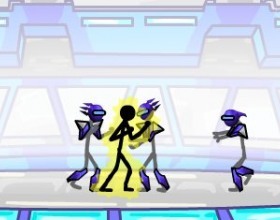 Stick figures are widely used to produce animations within Adobe Flash environment. As these figures are not so difficult to draw it is possible to animate them more quickly than traditional full-size drawings. 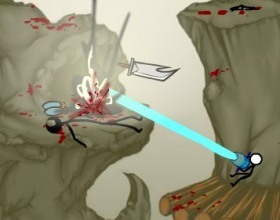 Stickman has become a basis for many online computer games. The use of a figure made of sticks and dots is universal. 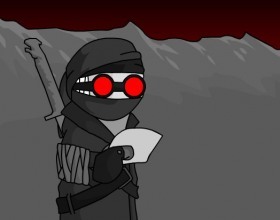 That means you can play stickman adventure games, stickman action games, stickman fighting games, stickman military games and a lot of others. 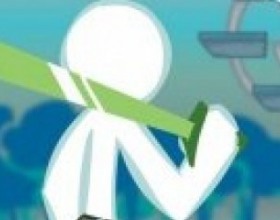 The tasks of the gamer in stick games are very diverse. 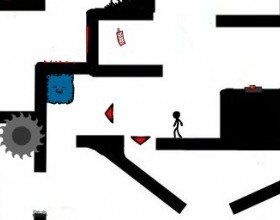 In some games you will have to help stickman survive in cruel street fighting, while in the others you prepare a final battle with monsters on unknown terrains. 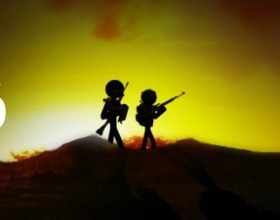 The shooter games, for example, aim at assisting the stickman in a skirmish with bad guys. 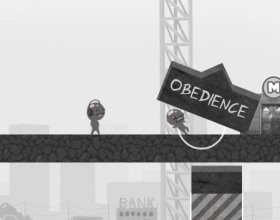 Stickman sometimes can be funny enough so the joke games with a stick figure as a main character are not a rare thing. 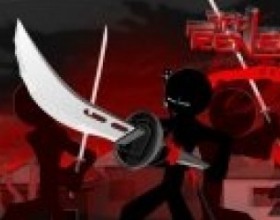 Our website has specially gathered a wide collection of stick games because their popularity grows every day. They include such wonderful games as Stickman Madness, Zombie Assault, Sift Heads Assault, Kill the Spartan and many others worth playing. 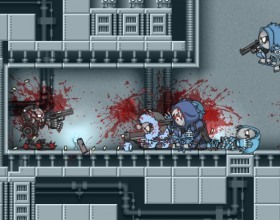 In a Zombie Assault game series you will definitely enjoy brand new weapons, better graphics and controls. This game is a classic barricade defense game. 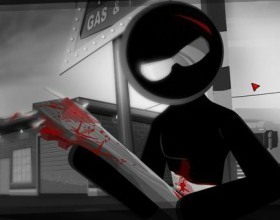 Stickman Madness is another wonderful game. Here you have to kill all dangerous enemies that come in your way. 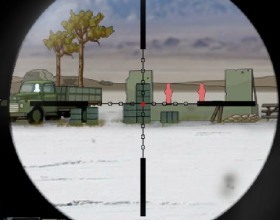 The objective of the game is to try and shoot the enemy as fast as you can. If you give them too much time, you would get damaged so speed is very important in this game. A tip would be to reload while moving and try to memorize the enemy positions. And you will definitely appreciate Sift Heads series. 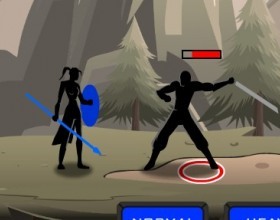 In this 3D game your task is to kill all enemies. 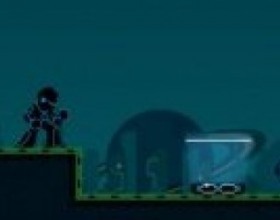 In order to achieve this goal use hideouts, move as quick as possible to survive and pass the level. Earn money and upgrade or unlock new weapons like machine guns, flame-throwers and bazookas. By the way, many new games are added on a regular basis so you can monitor our website every week.